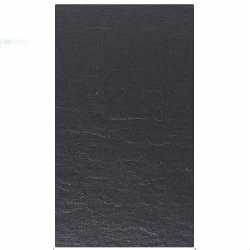 Modern fibre cement slates offer an attractive, easy-to-fit alternative to traditional, quarried slate. The big attraction for most buyers is the lower cost, but there are other important advantages to consider. Ashbrook Roofing stock fibre cement slate from three of the biggest names in the business: SVK, Cembrit and Marley. Our fibre cement slate is all pre-drilled – if you’ve ever had to drill a few hundred slates you’ll know what a time-saver this is. Man-made slate has a uniform depth and size, without the chips and flaking edges – the finish is superb! Finally, there’s the weight – FC slates are simply easier to lug around the site. In addition to stocking a wide range of artificial slate tiles, Ashbrook Roofing supplies all fixtures and fittings including copper nails and copper disc rivets. Along with a fantastic choice of breather membranes, you can buy your complete roof in one easy step. We are also stockists of various natural roofing slates. With slates from all over the World; Wales, Spain, Canada and China you're sure to find something for your project! Why not give us a call on 01629 828500 and we’ll help you to make the right choice for your individual project.